Good shooting, looks like some grilling is in the near future. Ate some backstrap off one not much bigger than that tonight. You didn't even need a steak knife! Congrats! LOL!!!!! At first I thought it was a real deal! I was thinking you must have been hunting in Texas. 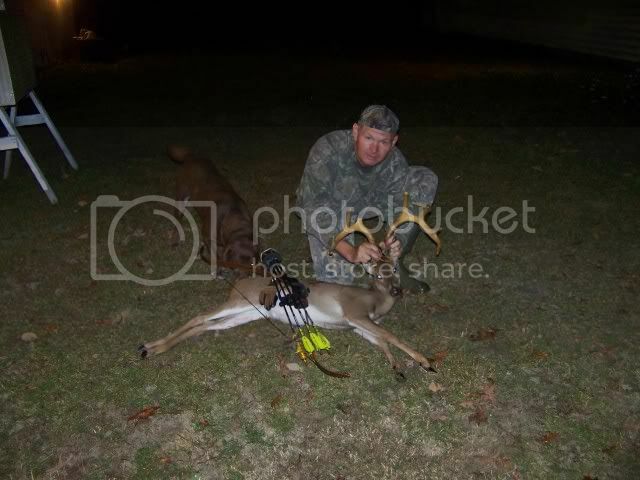 Nice deer, it will be good eating! Congrats. . . you guys in NC must have to be great shots. The only reason I shoot bigger deer is I need a bigger kill zone! 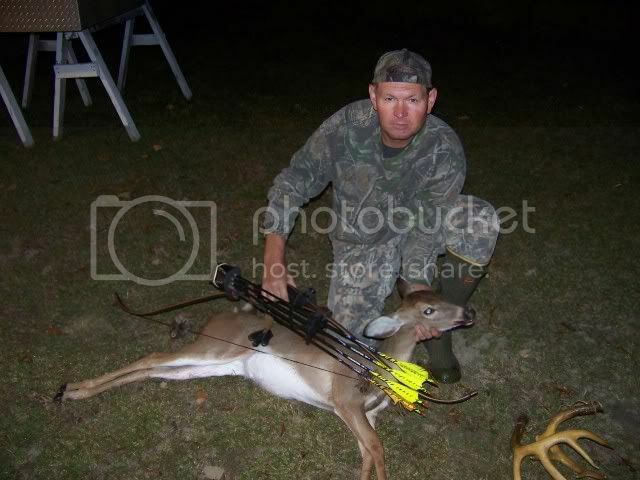 You are a true archery hunter! That would be a monster in the Everglades! Don that will be good eating. Wild Bill calls them suitcase deer. Awesome! stick that one in your back pocket and go after another! Good Shot!